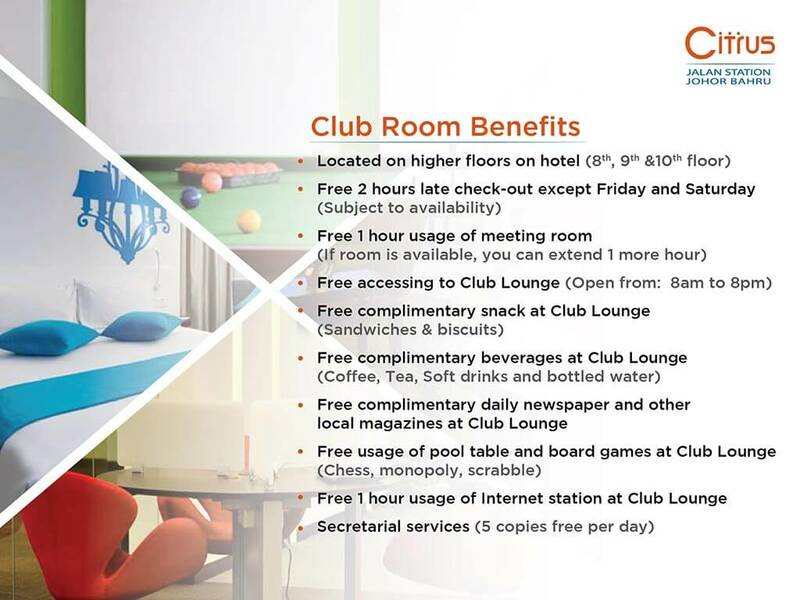 JB CITY VIEW HOTEL SDN BHD (Citrus Hotel Johor Bahru, under Compass Hospitality Management Group) and/or Compass Hospitality respects your preferences concerning the collection and use of your Personal Information. The following privacy policies are tailored for the different ways your Personal Information is collected through Compass Hotel Group websites. JB CITY VIEW HOTEL SDN BHD (Citrus Hotel Johor Bahru, under Compass Hospitality Management Group) and/or Compass Hospitality (“we”, “our”, “us”) is the data controller when you provide information to any of our brands, including 4 distinctive brands: Compass, Citrus, Citin, and Ananda Spa (alongside our Compass Collection which includes individually ‘White label’ branded hotels and resorts), Compass Hospitality offers a large variety of lifestyle preferences and accommodation needs, delivering gracious services for a truly memorable experience. MARKETING. JB CITY VIEW HOTEL SDN BHD (Citrus Hotel Johor Bahru, under Compass Hospitality Management Group) may use your Personal Information and Other Information to notify you about new product releases and service developments, and to advertise JB CITY VIEW HOTEL SDN BHD (Citrus Hotel Johor Bahru, under Compass Hospitality Management Group) products and services in accordance with this Policy. Your website visit, marketing experience, and communications may be tailored to your interests based on your Personal Information. JB CITY VIEW HOTEL SDN BHD (Citrus Hotel Johor Bahru, under Compass Hospitality Management Group) may share your Personal Information to specific third party partners to facilitate interest-based advertising. Other Information uses specified above are not mandatory and may be controlled by you. Please refer to the "Registration and Privacy Choices" section below for opt-out options. IMPROVE PRODUCTS, SERVICES AND EXPERIENCES. JB CITY VIEW HOTEL SDN BHD (Citrus Hotel Johor Bahru, under Compass Hospitality Management Group) may use your Personal Information to evaluate and improve our products, services, marketing, and customer relationships. OBTAIN THIRD PARTY SERVICES. We also share Personal Information with third parties who provide services to JB CITY VIEW HOTEL SDN BHD (Citrus Hotel Johor Bahru, under Compass Hospitality Management Group), such as credit card processing services, analytics, website management, information technology and related infrastructure provision, customer service, e-mail delivery, and other similar services. When JB CITY VIEW HOTEL SDN BHD (Citrus Hotel Johor Bahru, under Compass Hospitality Management Group) shares Personal Information with third party service providers, we require that they use your Personal Information only for the purpose of providing services to us and subject to terms consistent with this Policy. COOKIES.JB CITY VIEW HOTEL SDN BHD (Citrus Hotel Johor Bahru, under Compass Hospitality Management Group) server will query your browser to see if there are "cookies" previously set by our electronic Channels. A cookie is a small piece of information sent by a Web server to store on a Web browser so it can later be read back from that browser. Cookies may collect information, including a unique identifier, user preferences, profile information, membership information, and general usage and volume statistical information. Cookies may also be used to collect individualized website use data, provide electronic Channel personalization, or conduct and measure the effectiveness of advertising in accordance with this Policy. Some cookies may remain on users' computers after they leave the website. While the majority are set to expire within 1-24 months of your last visit to the website that set the cookie, others may not expire because of their nature, like cookies that remember opt-out preferences. The content of each page of this website is the property of JB CITY VIEW HOTEL SDN BHD (Citrus Hotel Johor Bahru, under Compass Hospitality Management Group) and/or Compass Hospitality. No part of our website may be reproduced, displayed or republished in any form without prior consent, except that permission is granted to a user to print or photocopy individual articles or entire pages from our website, provided that this is for personal use only. To provide information and ensure transparency, JB CITY VIEW HOTEL SDN BHD (Citrus Hotel Johor Bahru, under Compass Hospitality Management Group) established this policy so that you can know how we process your information when browsing our websites as well as to let you know your rights in regard to cookies and tracers used by JB CITY VIEW HOTEL SDN BHD (Citrus Hotel Johor Bahru, under Compass Hospitality Management Group). Cookies for visitor tracking are aimed at improving the comfort of users by helping JB CITY VIEW HOTEL SDN BHD (Citrus Hotel Johor Bahru, under Compass Hospitality Management Group) understand your interactions with JB CITY VIEW HOTEL SDN BHD (Citrus Hotel Johor Bahru, under Compass Hospitality Management Group) Websites (most visited pages, applications used, etc. ); these cookies may collect statistics in order to improve the relevance and usability of our services. Affiliate cookies identify the third-party website(s) that redirected a visitor to JB CITY VIEW HOTEL SDN BHD (Citrus Hotel Johor Bahru, under Compass Hospitality Management Group). The installation of certain cookies is subject to your consent. Also, when you first visit the JB CITY VIEW HOTEL SDN BHD (Citrus Hotel Johor Bahru, under Compass Hospitality Management Group), you are asked whether you agree to the installation of this type of cookie, which is only activated after your acceptance.